Ymni was commissioned by the Society of Icelandic Composers for the Reykjavík Arts Festival. Composed in Fyn, Denmark in year 2000, the piece is an appraisal to the comings of life and uses a text by the Icelandic Gunnar Gunnarsson who wrote this text while living in Denmark. 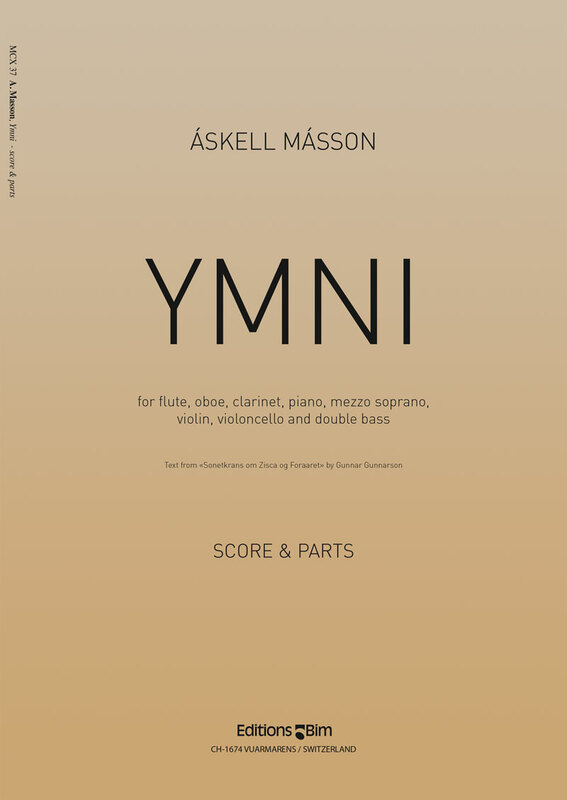 Ymni is written for high voice and seven instruments (flute, oboe, clarinet/bass clar., piano, violin, cello and doublebass). The work was premiered at the celebration concerts for The Reykjavik Cultural City of Europe in year 2000. "bewitching poetic singing lines: Powerful, emotional and brillant"
"Most beautiful and dramatic" "captivating, stunning solo phrases"